Indeed. While the modification itself was neither "trumpeted" nor "kept secret", the effects on the look of the coins was a surprise for me too. Particularly so on the national sides. Attached is a screenshot from a European Commission presentation at the ATMIA Conference (London, June 2017) that I posted elsewhere before. Note how the part "no impact on cash handling" is underlined. And the press release that redlock posted here even says: "Die Änderungen sind rein technischer Art und für die Öffentlichkeit nicht zu erkennen, denn das Aussehen der Münzen [bleibt] unverändert." That is, "the changes are of merely technical nature and not recognizable for the public, as the look of the coins remains unchanged." That may be true for most of the general public. But not for a coin collector with the eyes of a hawk. So far i found seven pieces of this variant from Hamburg and Karlsruhe mint. Four in my small change plus three in a 100 from two bank rolls. Let's see if we can find some further ones. The most important thing is, do the old and new obverses or reverses coincide? Do they mix? Are there differend combinations? The most important thing is, do the old and new obverses or reverses coincide? Do they mix? Are there different combinations? 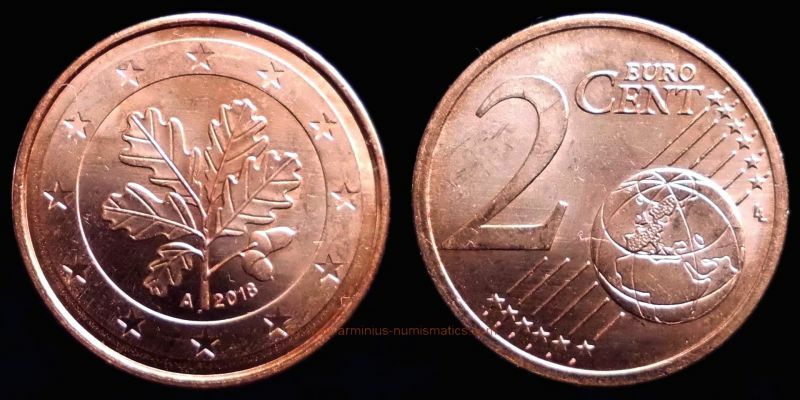 Does a "Germany new reverse" exist, does is distinguish significantly from the old one? 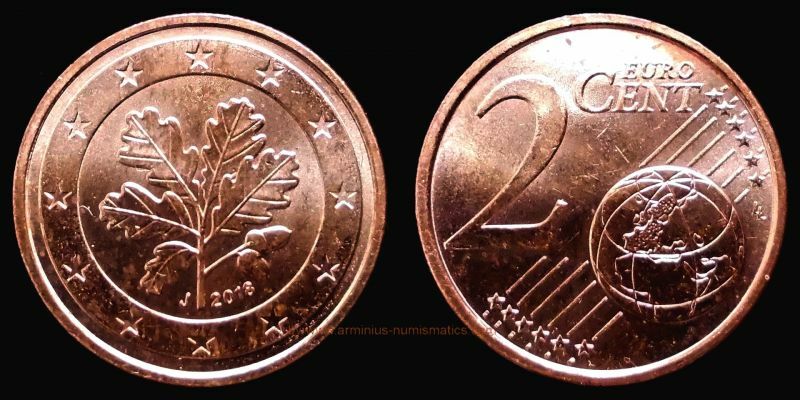 The coin that I started this thread with has a reverse that is AFAICS identical with that of earlier coins. 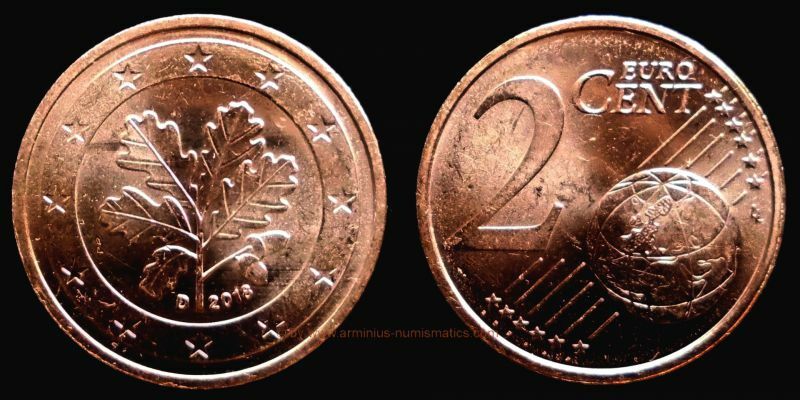 But given the haphazard nature of the way this change has been handled, I can't rule out the possibility that my coin has a new obverse and old reverse, and that there are other coins out there with a reverse that is notably different. that's very interesting. I've just asked Tom Michael from SCWC, if he plans to make any changes to KM numbers because of this. If he ever answers back I'll let you know. Maybe i could do better buying 2 Euro cent rolls from the bank. But this would add costs and may eliminate to a certain extent the surprise factor of each cash transfer during my rare supermarket visits.